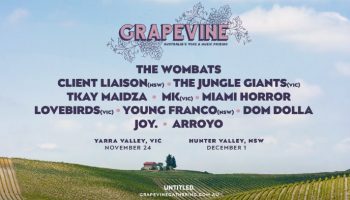 Live Review: Grapevine Gathering 2018 – Spotlight Report "The Best Entertainment Website in Oz"
The sun beamed down on the Hunter Valley’s inaugural NSW Grapevine Gathering as cries of ‘Chardon-heeey’ echoed through the arena. The weather on first day of summer certainly did not disappoint and left punters quenching their thirst with some of the Hunter’s best wines. 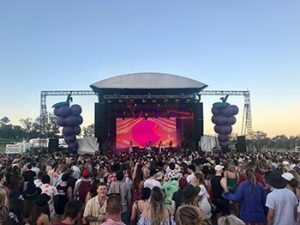 Grapevine Gathering has managed to encapsulate the best aspects of an out of town music festival bringing together an eclectic mix of music, stunning surrounds, gourmet food vans, and alcohol to suit all tastes including Young Henry’s and Pimms. 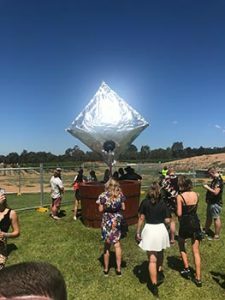 Shade was at a premium on the scorching Saturday with a number of ingenious home-made solutions being tried in the arena. The initial slow arrival of punters due to a few coach-related teething issues matched well with the down-tempo openers Arroyo and Joy. who successfully warmed up the (already sweating) crowd, leaving them ready for ARIA nominated Dom Dolla. Dolla played an hour set and the crowd came in droves down the hill to the arena for the electronic DJ. He got the crowd bouncing and the festival immediately went up a gear which was a sign of things to come. 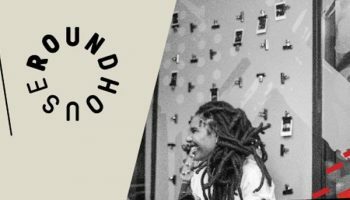 Young Franco kept the electronica flowing and the punters moving leading into Tkay Maidza’s set. Maidza bounced onto the stage immediately making an impact with her infectious energy; a blur in her bright yellow two-piece. She commanded the crowd with constant call and response and between this, singing and rapping her talent was clear to see. Paired with a live drummer, she did not disappoint. Sound issues plagued Miami Horror’s set which was unfortunate but they continued on and kept the crowd pumped as the sun set over the picturesque Hunter Valley. The setting sun was the perfect ambiance for Client Liaison to fill the arena. The crowd were ready to party and party they did! 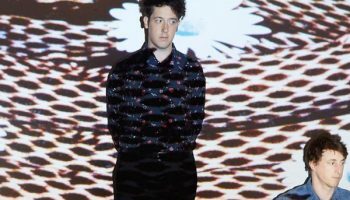 Cans of Fosters were chucked out to thirsty front row-ers and the eclectic backdrop of classic Australiana graphics lit up the smiling sunburnt faces of the eager crowd. Off-white limousine was a favourite with the unique graphics to match which in turn matched Liaison’s persona. They commanded the stage and could have easily headlined the event with their larger than life presence. 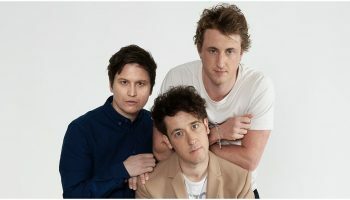 You could be forgiven for thinking this was an all-Australian lineup considering how often The Wombats grace Australia with their company. But, they are clearly adored on our shores and for good reason. Cramming as many hits a possible in to a short set was no mean feat but they squished and squashed and even removed the space where the encore would usually be to maximise playing time. It was a great end to a long day leaving the crowd on a high to return to their coaches; weary but with great memories of a perfect day in the sun.